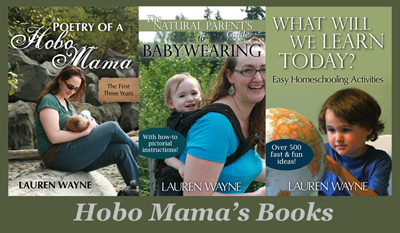 Hobo Mama: Read Poetry of a Hobo Mama! You want a million copies? Great! So! I've been busy as a bee getting it set up everywhere for your browsing and buying ease. 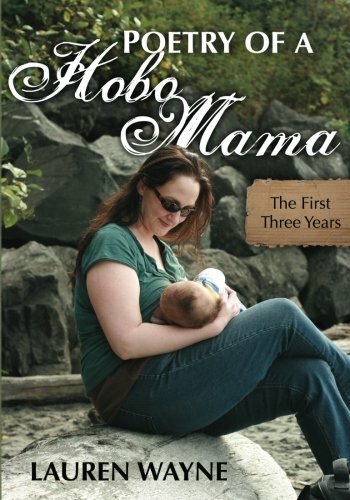 Poetry of a Hobo Mama is available on Amazon.com for $11.99 and eligible for FREE Super Saver Shipping on U.S. orders over $25. The Kindle version (DRM-free for you ebook-o-philes) is up for $9.99 (and is also available at Amazon UK for £7.06). This code works only at CreateSpace (unfortunately I have no options to offer discounts on Amazon), and you do have to pay shipping. I've found the cheapest shipping doesn't take as long as they threaten, so I would go with that, personally! One book to the U.S. is $3.61 economy shipping (or, at any rate, that's what it is for me). If you buy, say, 3 copies, the shipping increases only to $4.04, so you save on multiple purchases if you wanted to buy a couple extra copies for baby shower or new parent gifts. CreateSpace will ship internationally as well, though you can't see any shipping rates till you're in the checkout. I've even set it up so that libraries can order a copy, though I imagine you'd have to put in a request or three! and we bed down when it suits. and pointing out signs along the way. and the summer sun a blanket. I hope you enjoy reading these poems as much as I enjoyed writing them! photographing Mikko and me in the first place! Wow! Congratulations on this awesome accomplishments, Lauren. The cover is fabulous--if I saw it in a bookstore I would have to buy it just because it features a real nursing mama! Woo hoo!!! Is the book available at Amazon.ca? I will have to look for it. I love the title and the cover looks great! I dig how it resembles your blog. That is a great opening poem, too! Go you! Wow, congratulations. You should post some on your blog every now and then! @Patti: It is! Here it is on Amazon.ca, where it looks to be on sale. Bonus!